Ripple (XRP) appears to be back on track this week as the digital token posted strong charts after a difficult week of losses. The cryptocurrency has floated back into the green, with Ripple rising 3.82 percent to trade at $0.478946 as of 8am today. 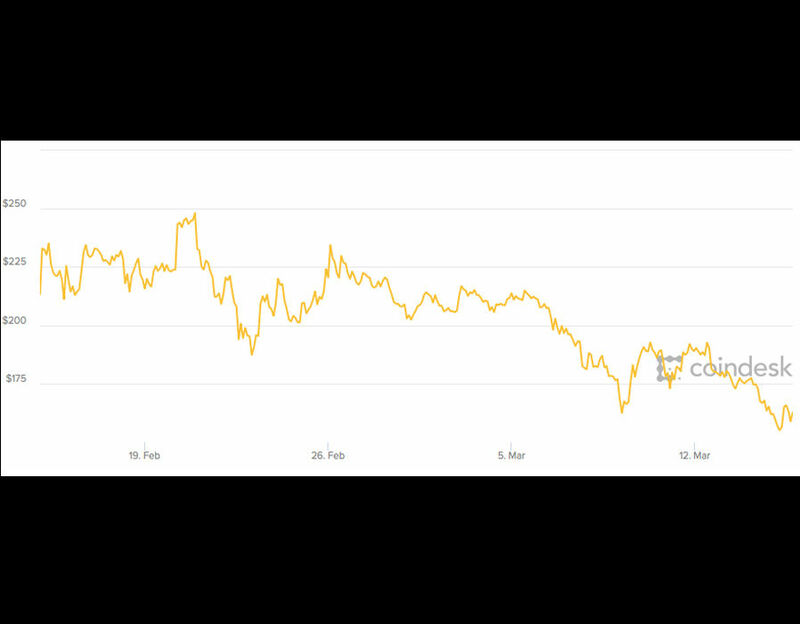 The rest of the market has also seen small gains, with bitcoin trading for $6,178.67, Ethereum for $453.10 and Litecoin at $81.34. XRP was buoyed by the announcement of Ripple CEO Brad Garlinghouse that Coinbase should integrate the digital coin. Is XRP on the rise? Ripple traders woke up to a small gain this morning as the market stabilises from a dismal week. Several major hacks on South Korean exchanges CoinRail and Bithumb saw the market drop through the floor last week, with bitcoin losing almost $1,000 in one day. More than $60 million in digital tokens was allegedly stolen in the two separate hacks, causing investors to drop their coins and protect their money. This week’s positive upswing is a step in the right direction for Ripple, which is looking to step up and become one of the biggest cryptocurrencies in the market. The debate for Ripple’s inclusion as a security has raged more vigorously in recent weeks, but Ripple CEO Brad Garlinghouse is looking to answer the question once and for all. In an interview with Fortune, Mr Garlinghouse said XRP is solving problems at scale for institutions and large-scale banks - and Coinbase should be interested to participate in it. Garlinghouse emphasised that XRP exists independent of Ripple and even if the company Ripple Labs failed, XRP would still exist as a cryptocurrency. He noted that XRP tokens have a technological purpose of settling transactions between institutions and individuals as a utility currency, unlike stocks and traditional securities. “I think it’s really clear that XRP is not a security. XRP exists independent of Ripple and it would operate even if Ripple Labs failed,” said Garlinghouse. The US has still yet to decide if XRP is technically classed a security, which could shape the growth of the entire market significantly. The decision to include Ripple on its ledger remains entirely with Coinbase, who appear to be willing to wait to find out the verdict from the US Securities and Exchange Commission (SEC). If Coinbase adds XRP and the currency turns out to be a security under US laws, both Coinbase and XRP traders on the exchange are liable and can be punished as unregistered security distributors. Coinbase will likely not add XRP unless the SEC offers an official clarification that XRP is not a security, with absolute certainty.